Been a mixed few days since the last posting. Friday morning another courier turned up and delivered the remaining paints and fillers. Thank you UK Mail, you delivered next day and at the first attempt. After sending my dear wife to work it was into the garage for a clean up and masking session. 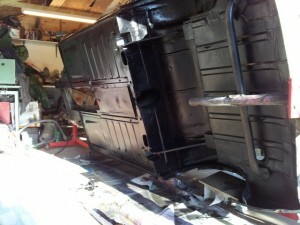 Mid morning I started on the barrier coat and just as I’d finished spraying the compressor died. It is only a small 25l Tiger and it had to work hard to keep up so it really needs replacing with something bigger. Saturday was spent at MG Live in Silverstone and this was our first MG show. Having stayed locally overnight we arrived just before 09:00 and a lot of stall holders were still setting up. Learnt a few things from chatting to the drivers in the paddock and then checked out the Magic Midget stall and had more useful advice. I managed to pick up a set of anti-tramp bars for half price so didn’t come away empty handed. 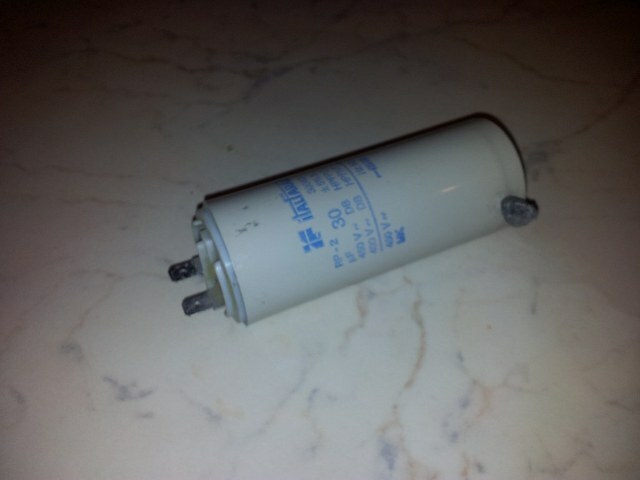 The good news is that this fixed the compressor so on with the next task, painting the underside of the car. All went well and it will have another coat tomorrow but it looks far better than it did when the car arrived and it will do for me. Another weeks holiday to use up so set the target of getting the car back onto axle stands. 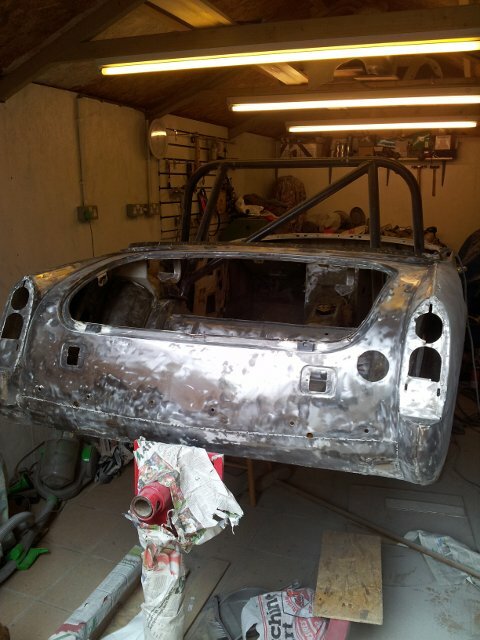 By the start of this week the underside of the floor pans and the rear wheel arches were epoxy coated, seam sealed and the wheel arches were stone chipped. All I had to do was prime and spray them with a chassis black then I could drop them body onto axle stands and return one engine stand to its owner. However the folks at City Link obviously decided I had better things to do so didn’t deliver the paint on Tuesday and claimed I wasn’t in. Wednesday PM I’m wondering where the paint was and chased the supplier. He supplied a tracking number and that was when I discovered that they’d done the “phantom card” that City Link are renowned for. I commented to the supplier that they would probably at 18:15 update the system to say no one as in, but I was wrong. They updated the system at 17:47 to say I wasn’t in and had left a card. Complete utter bollox. I advised the supplier that they’d not delivered and using City Link’s system I said I’d collect from their depot. The supplier then rang before I set of this morning (Thursday) to say that despite saying I’d pick up the parcel, it had been loaded onto a van at 07:18. Here I am at 17:25 waiting for the paint to arrive but suspect that it will be in the depot very soon and I’ll have a trip over to collect it. Having nothing better to do I’ve moved stuff out of the garage into the wood store and then thought I’d strip the paint off the body work. A thoroughly dirty and noisy job but very satisfying to see a change and some progress, and what’s more I’ve even taken a photo. Edit: 18:55 and the paint arrived.